Here is a real quick way to start a fire in Interior Alaska. This is one tip of many that will help keep you warm while venturing into the wilds and beyond. 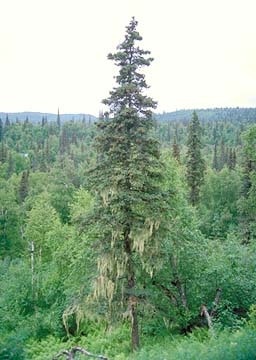 Granted there are many eco systems located throughout the state of Alaska, some areas of the state such as the South Eastern parts have relatively few birch trees. 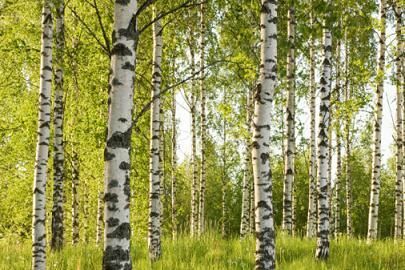 In many parts of the state birch trees and spruce trees are abundant and finding these ingredients will only take a short walk-about. TIP:When camping in Alaska, fill your pockets with the loose dying bark from birch trees. Having available fire starting material in your pocket could mean the difference between life and death. To start the fire (presuming you have matches or some kind of flame) begin by gathering all the supplies as noted above. Building a fire takes patients and preparation. You must prepare your tinder, kindling, and fire wood before even thinking about striking your match. Visualize your fire before you make one, make three small piles of different sized burnable materials. A tinder pile, a kindling pile, and a firewood pile. Starting from smaller to larger, building your fire to accommodate larger burnable chunks. Rip 10-30 1/2 inch pieces of Birch bark strips and place them on top of a larger platform of Birch bark. Place the spruce tree sap in the center of the Birch bark stripes. With your kindling pile standing by, light your match and ignite several corners of the torn Birch bark strips. These stripes will burn quickly and light the spruce tree sap on fire. Take spaghetti thin pieces of kindling(spruce tree branches) and stack a fist full of them directly over the burning birch bark. Remember graduating your fire takes patience. Once your spaghetti thin pieces take flame use pencil thick pieces of Spruce branches to make your fire hotter. Following a “smaller to larger” formula, continually build your fire to the desired size. In damp conditions, blowing on the coals of your fire will make it burn hotter. Fires like oxygen, sometimes a slight wind will help your fire so don’t be afraid to do some light blowing at the base of your birch bark platform. The warmth of a fire can be the saving grace of a long, cold, and wet day. Remember to disassemble your fire ring, drowned your coals, and leave no human trace when moving to different camp spot. Enjoy your adventure and most of all be safe!